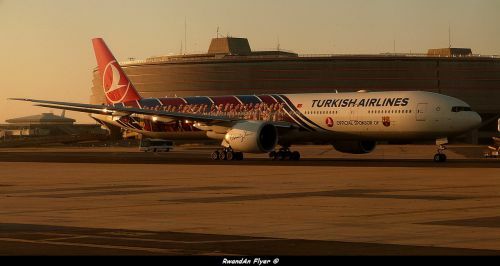 Turkish Airlines, Turkey’s national flag carrier touched Rwanda’s soil with its maiden flight on May 15th2012, marking its 20th destination on African turf. It became the third foreign airline to enter Rwanda’s aviation sector after South African Airways and Qatar Airways respectively. The airline has opened trade opportunities between Kigali and Istanbul and also connected Rwanda to other major world cities, a boost to Rwanda’s transport industry and a positive tune to towards unlocking Rwanda’s blocked-in nature. The airline has also launched its cargo services in and out of the country, becoming the first airline to introduce cargo flights in the country. This has increased linkage between the two nations with businessmen from both sides scouting for fresh investment opportunities on both ends. What influenced your entry into Rwanda? We trust the Rwandan economy and its stability. This offers a good environment for long term investments. Rwanda also serves as a strategic point of connection to the rest of Africa. It’s in the heart of Africa. We have also seen Rwanda’s recent sturdy climb on the economic ladders, an attraction to potential investor interested in setting foot here. The country offers much more. Also important to note is that seventy percent (70%) of world airline traffic floats over Turkey. This makes Istanbul a strategic position in the world airline traffic. This being a major connection point to different points on the globe, introducing Rwanda into the list of these destinations is opening Rwanda to the world. It opens its links to several major world destinations. For us, it makes economic sense and increases our global expansion to serve the airline industry the best we can. What does Turkish airline offer in terms of service exclusivity? At the top of the list is catering. We are not apologetic about that! Owing to this, we have been voted the best airline in Europe, two times in a row, 2011 and 2012. Being the best airline is however not just about catering, but it’s all about ground services, in flight entertainment, connections, the network and all that it takes’. We have 210 aircrafts flying to 220 destinations in 92 different countries, making us the number one carrier worldwide. What’s your take on the African airline market? There is some crazy competition in Europe, but Africa has proved as a green zone, full of opportunities for all airlines. The African owned airlines are doing a great job but since most of them are young, giant global airlines need come in and offer a wider linkage to major global points. Currently, Turkish Airline is the airline that flies to most destinations in Africa from Europe. This offers great linkage of Africa to the rest of the world. We are stanch to cement this standing further. Twelve months down the line, how is the market responding? The numbers are increasing. We started with three flights a week, and then increased to four. Now we have five flights a week. We plan to start daily flights by October. We have also launched the cargo flights, becoming the first airline here to do so. This is a great foundation for us. We have already announced we are going to be operating every Monday with this large body Airbus A330F Cargo Freighter. It has a capacity of 64 tons and I am sure it will be a big opportunity for all businessmen in Rwanda. Access to 100 countries and 217 destinations with a fleet of 210 aircrafts gives people an opportunity to send their cargo to any of those destinations within 24 hours. We have also augmented our frequency and we are going to better it further within this year. We have also changed our aircraft type. We were previously flying a Boeing 737800 but now we have an aircraft specially designed for our Africa destination- Boeing7373900 with in-flight entertainment in every seat. It will have one of the most comfortable economy seats in the world. Your cargo flights have attracted a lot of attention for obvious reasons, tell us more about it. We will be transporting a variety of legally tradable commodities. For exporters, they are going to have the opportunity to deliver their cargo within 24 hours or a maximum of 48 hours. We will also offer special cargo handling to our clients with least or no damages to goods on freight. How much has Turkish airlines invested in Rwanda? Ours is a long-standing investment. We are going to be here for very many years. So we are not looking at what we have so far devoted, but the long term part of it whereby we want to be the airline that is connecting Rwanda to all key world points and establish a first-rate longer relation that will earn us trust from our customers.